Part of the problem here is the anomaly of attempting to overcome a long-drawn military culture and institute a democratic one by electing military men as president. No matter what military-turned-civilian presidents say, they are not true democrats. As long as we continue to elect former military men as president, even so shall Nigeria continue to experience a hangover of military rule that militates against the growth of a full-blown democratic ethos. Obasanjo was elected as president in 1999. At the time, there were two strong national political parties, the PDP and the ANPP. The AD was, to a large extent, a regional party. After the election, the PDP set out to decimate the ANPP and the AD. Obasanjo unleashed the dogs of the EFCC on the opposition, with a body language that compelled a rash of defections from the ANPP to the PDP. He also planted Trojan horses in the leadership of the ANPP whose job was to create perennial conflict in the party. Under the questionable leadership of men like Senator Mahmud Waziri, Alhaji Yusuf Ali, Chief Don Etiebet, Governor Attahiru Bafarawa, retired General Jeremiah Useni and Governor Ali Modu Sheriff, the ANPP was provoked to self-destruction. The assault on the AD also decimated the party, albeit temporarily. In the end, there remained only one major hold-out against the tyranny of Obasanjo; Bola Tinubu and Lagos State. The abject reality of Nigerian politics is that Bola Tinubu employed the considerable resources of Lagos State politically to fight against the marauding “dictatorship” of the Obasanjo regime. To many people, Jonathan’s commitment to democracy was part of what made him clueless. Although he was from the South, he chose a Northerner to be chairman of INEC. He allowed the APC, a formidable opposition party from its inception, to be registered. (Your guess is as good as mine whether such a party would have been registered under Obasanjo). He then oversaw successive PDP defeats in by-elections. Under him, the PDP lost in Edo in July 2012. It lost in Ondo in October 2013. It lost in Anambra in December 2013. It lost in Osun in August 2014. In the five elections before 2015, the PDP only won in Ekiti in June 2014. Jonathan kept telling Nigerians that one of the legacies he would like to bequeath Nigeria is that of being the man that revamped the democratic system in the country. We heard him say this again and again, but somehow did not take him seriously. However, his commitment to democracy ensured that he even allowed himself to be rigged out of office in March 2015. In an election where Kano State declared a whopping 2.3 million votes without a single wrongly-filled ballot paper (1.9 million out of this for his opponent, Muhammadu Buhari), Jonathan was declared the loser. Nevertheless, he refused to contest the result, promptly congratulated the declared winner, and left office. If Jonathan was foolish enough to allow democracy to flourish in Nigeria, the APC seemingly has no intention of following suit. What we have today, under President Buhari, is a return by the APC to the sharp practices of the PDP under Obasanjo. The APC is embarked on an outright campaign to destroy the PDP. It is determined that by 2019, the PDP would have become a shell of itself. As the PDP boasted in the past that it would remain in power for 60 years, so is the APC now showing the determination to remain in power for 100 years. Today, the APC is not satisfied with the fact that it won not only the presidency, but also the governorship in over 20 of the states of the federation in the 2015 election. It is determined to go after virtually all the states where the PDP was declared the winner. Its main assault, of course, is the oil-rich South-South states of Delta, Rivers and Akwa-Ibom. This plan is already in motion. The election results in the states won by the PDP are being contested in the courts. The Chief Justice of Nigeria, Justice Mahmud Mohammed, declared that under his leadership the judiciary would not subscribe to any plot to change the outcome of elections through the instrumentality of the courts. However, it would now appear that this position only relates to those elections won by the APC. In the APC battle for Rivers and Akwa-Ibom especially, the DSS and police details that actually participated in the elections were transferred out of the states. The judicial officers and members of the election tribunals were juggled. 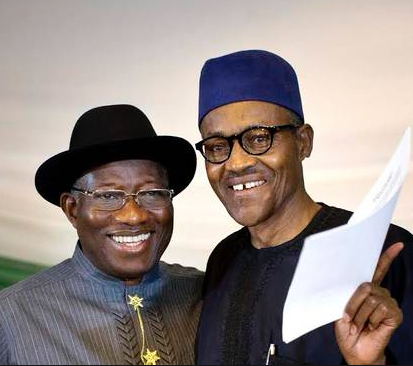 The tribunals themselves were transferred curiously out of state to APC-controlled Abuja. The legal technicalities used to uphold APC victory in Lagos, Ogun and Imo were rejected in Rivers and Akwa-Ibom. In the end, PDP victories in these states were upturned. INEC itself no longer looks like an honest-broker. In the first instance, the president went ahead to appoint Amina Zakari as Acting INEC Chairman, to widespread uproar in opposition circles. Zakari’s appointment was blatantly illegal because it was made without the statutorily required approval of the National Council of State, and there is no provision in the Constitution for an Acting INEC Chairman. Zakari continued to act as chairman, even though her tenure as National Electoral Commissioner ended in July 2015. Moreover, Governor Ayo Fayose of Ekiti reveals she is an in-law of the president, making her appointment even more inappropriate. When a substantive INEC chairman was finally approved, the president broke another protocol by choosing a man from his own region, Professor Mahmoud Yakubu, continuing the lopsided policy whereby the chief organs of the federal government (the presidency, the legislature and the judiciary) are now all headed by Northerners. This is a completely different departure from the more transparent process under Goodluck Jonathan where Attahiru Jega, a man without any possible connection with the president, was appointed to the INEC chair. Certainly, a government sensitive to the nuances of ethnic, religious and geo-political balancing would have chosen someone from the South, thereby ensuring there can be no suggestion of in-built bias in subsequent INEC organised elections. APC’s anti-corruption crusade has become so lopsided, it is difficult not to conclude it is simply an instrument for check-mating and decimating the opposition. The EFCC has gone after PDP bigwigs such as Sule Lamido and Godswill Akpabio. The former National Security Adviser of President Jonathan has been charged to court on the curious grounds of treasonable felony. An application has been made to try him in a kangaroo court shrouded in absolute secrecy. Elder Godsday Orubebe of the PDP has been summoned to appear before the Code of Conduct Tribunal over allegations of false declaration of assets and acceptance of bribes from contracts awarded while he was Minister of Niger-Delta Affairs. Significantly, the pastor alleged to have given him the bribe has not been charged. While the opponents of the president and his party are being persecuted in the name of anti-corruption, APC politicians with corruption allegations hanging over their heads are being rewarded with ministerial appointments and APC governorship candidacies. Upon all the petitions sent to EFCC against APC chieftains, including Rotimi Amaechi and Babatunde Fashola and Rabiu Kwakwanso, these men have still not been charged to court. Instead, Fashola and Amaechi have even been approved for ministerial positions. Audu Abubakar has been approved as APC gubernatorial candidate for Kogi, in spite of the corruption allegations hanging over him at the EFCC. The same goes for Timipre Sylvia who is now APC gubernatorial candidate in Bayelsa. If these tendencies continue unchecked, Nigerians will wake up one morning only to discover that the PDP has been strangled to death; that we now have a one-party APC system of government; and that the South has become a political colony of the North.